Smart, funny, and incredibly hard-working Janna Yusuf, an Arab American hijabi teen, is dealing with the usual teen issues of crushes, family, and friends. She finds her life thrown into personal upheaval after she is sexually assaulted by the seemingly devout cousin of her close friend, someone revered at her local Mosque. She grapples with the challenge of coming forward about the assault and not sure who or whether she can tell. She starts relying on unlikely friends, and finds the strength to stand up for herself. 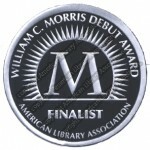 Thanks so much for your congrats on being a Morris finalist — a dream I dared not dream coming true! There is such great representation in this book of fully realized female characters full of their own agency. Characters like Sarah and Sausun feel really established in their identity when we meet them, but we get to watch Janna grow into herself in ways that are so universal. Can you talk a little about the inspiration for her? Janna is a character who understands some things about herself really well, like what she’s interested in (doing well at school, going to a good college, guys with big foreheads), and then is completely figuring out other things, including how to speak up when you’re suffering. The inspiration for her was teendom in general. I see it in my daughter and her friends, my sons, my nieces and then I remember it from my own teen years: that period when we are extremely self-assured and self-unsure simultaneously. It’s when these two states rub against each other that a sense of cohesive self emerges. I guess then my inspiration was the coming-of-age period — in particular, a Muslim-American teen’s. And yes, I did set Janna’s coming of age amidst a background of very strong women, mostly older than Janna. I have to specify here that the strength of these women were modeled on the ones I’ve seen around me in the Muslim communities I belong to. 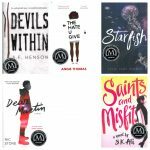 Many teens identify as religious, yet so many YA books are centered on teens bumping up against their religious upbringing. It is refreshing in your book to get to see teens that embrace their faith, and how it looks different for each individual. Was this important to you? Yes, this was important to me because we often shy away from approaching religiosity in contemporary YA (though there are fabulous writers who do so and have been doing so for a while) and I thought this was weird. I mean I understand the reluctance because being religious is seen as outmoded in popular culture generally and breaking the mold is a hard thing to do. But writing contemporary means you write reality. And the reality remains that many teens are proud of their religious identity, especially if it’s an identity that’s under some scrutiny as Islam happens to be in the current climate. The fierce embrace of what it means to be Muslim is all around us, something I’ve seen from my own teen years until now. But because I don’t see this reality reflected much on the page, I knew I’d write it. 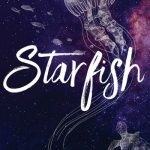 I also find it fascinating that you have so much of that search for deeper meaning, otherworld elements and transcendence going on in YA Science Fiction and Fantasy. It’s like the truth of our spiritual searching is being captured through SF/F. 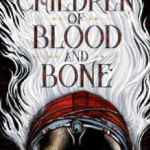 I’d love to see it being captured more in contemporary YA. Janna’s story was published before the #MeToo movement started on the internet this past October. Hers is a powerful #MeToo story. Do you think that Janna would participate on social media? If so, what would she write? You have a background as a teacher, how has this influenced your writing? That said, there’s one way teaching has influenced me as a writer: I’m motivated to continue telling stories, diverse stories, because being around the openness of young people makes me hopeful for a more inclusive future. I have so many favorite characters in this book, but one of my favorite relationships is the one between Janna and Mr. Ram. Is there someone that was inspiration for Mr. Ram? Mr. Ram, like many of my characters, is a blend of people but he does have some of the same qualities as one of my favorite people in the world: my dad! My father is very well read and has introduced me to books and ideas throughout my life that no one else has. Ideas that, when I was younger, I didn’t want to necessarily listen to at the time he shared them, but then, soon enough, for some class assignment or other, I’d invariably be knocking on his study door asking him to show me that book or two again. He seemed to know the core of what would be interesting to a growing mind. I value that greatly and wanted to incorporate that mentor relationship into Saints and Misfits. You do such a great job balancing humor and serious issues. 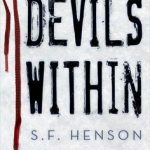 What authors have influenced you as a writer? This was actually a surprise to me! That I wrote with humor when some of the topics were quite heavy. Surprising because most of my short fiction while doing my Creative Writing degree were quite pared-down, serious affairs. When I really think about it, maybe it’s because I have three children and nieces and nephews who are into everything with a big side of humor; they often get into a groove just riffing on topics, sometimes going on and on for a long while. Maybe being surrounded by that kind of symphony instills a light-hearted cadence into the voices-palette of a writer? As for the authors who have influenced me, I would have to say one from my youth was Judy Blume, especially when she had a Jewish character (I loved those books because I could identify a bit more then! ), and her frank approach to things. I knew I’d go that course too when I wrote my own novels. More recently, an author that I look up to a great deal is Rebecca Stead. Her Newbery winning novel, When You Reach Me, just blew me away with its writing, story and characters. I felt immediately at home in the community she built in that book and I remember the long sigh I let out at the end, thinking, now that’s a story. From this reading experience, I knew that, for writer-me, incorporating a community of characters was important as well. And I hope I did that in Saints and Misfits. I’m working on editing my second novel. It’s about a girl who goes to Istanbul to take an art course and falls in love with an artist, amidst a sprinkling of cats, a Turkish wedding, Turkish coffee and lots of good food. The artist is a boy who cooks said good food. And, again, it has an ensemble cast like Saints and Misfits does. Additionally, I’m participating in an anthology called Hungry Heart which is made up of interconnected stories set in one culturally diverse, super foodie neighborhood. Oh, I also have an unannounced picture book coming out that I’m super excited about! One more thing. I love following you on Twitter, and I am excited about the campaign you have started #MuslimShelfSpace. Can you tell a little about that? The #MuslimShelfSpace campaign is an annual call to consider whether we’re making space for narratives authored by writers from Muslim communities, in light of the predominance of stereotyping, misrepresentation and marginalization of Muslims in popular culture.